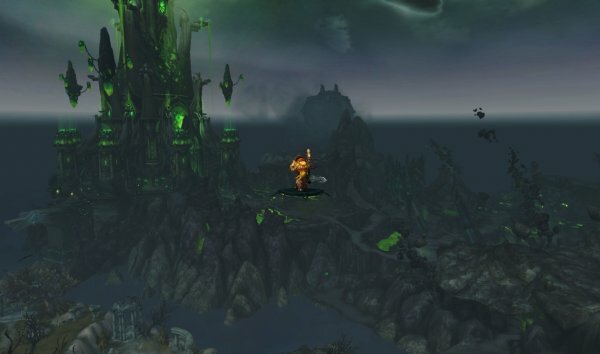 You will be allowed to fly in The Broken Isles by completing several tasks divided in main Achievements and each main achievement is divided in “minor” ones. - Unlock so you can continue with Broken Isles Pathfinder, Part two. To complete this Achievement, you need to Explore all 5 Zones in the Broken Isles. Click here to check my Guide on the best way to achieve this Achievement. To complete this Achievement, you need to complete the main Storyline on each zone (Val´sharah, Highmountain, Stormheim, Azsuna and Suramar). You can check the story progress for each zone by opening your questlog and on the top right side you can see what Chapter you are in and how mych is left. Mouse over on the Story Progress will also show you more detailed information. All zones are straight forward except for Suramar. I have a detailed guide covering entire Suramar and how to complete the story line, here. You complete this Achievement by completing 100 World Quests. When you hit max level you need to unlock world quests. This quest is compulsory if you want to do World Quests (which you do) since it unlocks the World Quests. If you do all the quests in each zone while leveling (not Suramar) you will get to reputation Honored. Also, I have an overview reputation guide for Legion here. You complete this Achievement by completing your Class Order Campaign. For more information, covering Class Order Halls, check my Guide here. See above guide regarding part 1. Repel Legion assaults upon each of the Broken Isles zones. There are Legion invasions in patch 7.2, that takes place in the different zones in Broken Isles. These are events that you can find by opening your map. 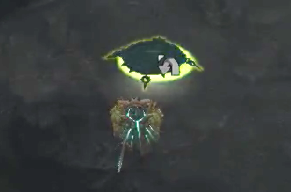 It looks like green Fel portals. Completing the Assault on Broken Shore scenario will make so that you will be friendly with the Legionfall (500/6000). Check my guide here, on how to farm reputation with Legionfall. You need to explore the entire Broken Shore Island. Something that will definitely help you on the way to complete this task is the “Rakeeshi Flying Disc”. This is a fying hoover disc that makes you fly for 2 min. I found these discs in the outer area of the center of Broken Shore (see map). But this was maybe just coincidence. 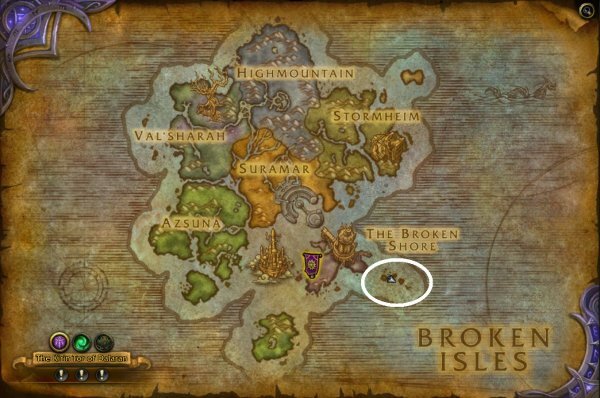 One part that can´t be seen when you open the map Broken Shore, but can be seen when you zoom out at the entire Broken Island (at least now on PTR), is The Veiled Isles that is a part of Broken Shore. Don’t forget to head there as well.